Inquiry into Parliament’s legislative response to future national emergencies: The inquiry will examine legislative models for enabling and facilitating response to and recovery from national emergencies once a state of emergency has been lifted – submissions are due by 1 June 2015. The Weathertight Homes Resolution Services Amendment Bill is one of those pieces of legislation that serves to remind us how badly governments can get things wrong. This bill is part of an on-going attempt to sort out the leaky homes saga. According to the Minister Nick Smith there are 1,147 claims, representing 3,528 homes that can qualify for the government’s contribution of 25 percent towards the repair costs. The total future cost to the government has been estimated at around $115 million. Problems with leaky homes began to emerge in the late 1990s. By 2009, a government report assessed the number of homes affected by the crisis at between 22,000 and 89,000, with an estimated repair cost of up to $11 billion. Others claimed over 110,000 homes could be affected costing $30 billion. When discussing leaky homes it is important to note that all houses leak. Under normal circumstances, while the exterior cladding keeps most of the weather out, under high pressure some moisture will always find a way in. But once it hits the water resistant building paper that protects the framing timber, it drains and evaporates away within the building’s air cavities. If any moisture does penetrate through to the framing timber, the boric treatment prevents fungal growth. Essentially, the leaky buildings catastrophe arose because of regulatory failure by the government agencies responsible for appraising and accrediting building products and processes – the Building Industry Association (BIA) and the Building Research Association of NZ (BRANZ). They failed to recognise the serious risks associated with two new building products that they approved – untreated structural framing timber, and fibre-cement cladding. Of course, as with most public policy matters, things are never simple. In this case, it was environmental and health concerns that led to the product changes. In the case of framing timber, the claims by environmental groups that the chemicals used in treatment processes were toxic and could have an adverse affect on health, paved the way for the production of cheaper untreated kiln dried structural framing timber. This timber, however, was only suitable for use in situations where the moisture content of the wood would not exceed 18 to 20 percent, since if it was allowed to get wet and stay damp, without a fungal inhibitor, it would rot. The other major change affected the use of a popular low cost, durable, fire-resistant cladding system, which used silicon-based asbestos and cement. Once the dangers associated with asbestos were recognised, manufacturers used wood fibre instead. The problem was that unlike its predecessor, which was extremely hardy in all weather conditions, this new fibre-cement cladding needed a waterproof coating, since when moist, the wood fibre in the board was susceptible to toxic mould and rot. Add to those changes in construction materials the design trend towards Mediterranean-styled buildings, with no protective eaves to keep out the rain, and cladding right down to the ground – leaving no air cavities for moisture to escape – and the conditions were set for the leaky homes crisis. Once moisture accumulated on the fibre-board’s inside cellulose-based wall, mould started growing, destroying the building paper and entering and rotting the untreated dry timber framing. The green movement’s crusade for home insulation made matters worse, since wall insulation restricted air movement even further, providing a warm moist environment within which to incubate fungal growth, accelerating a building’s degradation. Opponents of free enterprise have blamed the deregulation of the building industry in the early nineties for the leaky homes controversy. But the real problem was primarily that government-funded agencies approved construction materials and building systems that were essentially unsuitable for New Zealand conditions. When reports of leaky homes began to emerge, Helen Clark’s government ordered reviews. They then proceeded to disestablish the BIA, a Crown entity created by the 1991 Building Act to “oversee and manage the overall operation of the building control system”, and to be responsible for “granting accreditations of building products and processes”. Instead of laying the blame at the feet of the government’s own regulatory agencies, Labour claimed that building industry ‘cowboys’ were responsible for the problem. They said the solution was the wholesale regulation of the building industry even though most of New Zealand’s 1.7 million buildings were not affected. It is in the nature of government to demonstrate decisiveness by over-regulating, and the effect of Labour’s 2004 Building Act was to substantially push up the cost of building and labour, exacerbating the problems faced by low income families aspiring to build their own homes. As well as dealing with issues relating to leaky building and tightening industry regulations, the 2004 Act also strengthened earthquake provisions. Prior to the 1931 Hawke’s Bay earthquake there were no specific earthquake design standards for buildings in New Zealand. From that time, codes were progressively introduced to increase the structural performance criteria for buildings. The 2004 Act required higher standards than under previous legislation. However, the Christchurch earthquakes, which killed 183 people including 133 in the CTV and PGC buildings, have led to new legislation. 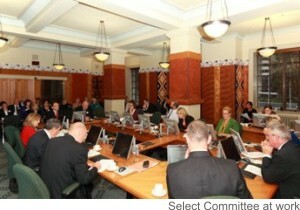 The Building (Earthquake-prone Buildings) Amendment Bill, which is presently being considered by the Local Government and Environment Select Committee and is due to be reported back to the House by 30 June 2015, encompasses recommendations of the Canterbury Earthquakes Royal Commission and a review carried out by the Ministry of Business, Innovation and Employment. Both were concerned at the lack of nationwide information about the safety of buildings and they urged the government to ensure all buildings had at least one third of the strength of new buildings to help protect them from earthquakes. As a result, the government has given building owners and councils five years to assess all buildings – excluding single and double storey houses – plus another 15 years to complete any necessary strengthening work. Owners of heritage buildings can apply for a 10-year extension. In reporting on this the Herald explained that almost 200,000 buildings are likely to need assessment as a result of the bill. An estimated 15,000 to 25,000 building will need strengthening. The cost has been estimated by officials to be in the region of $1.7 billion, but some critics say it will escalate to $10 billion, once heritage costs are taken into account. This is similar in scale to the total estimated cost of leaky homes. However, while regulatory failure was responsible for the leaky homes crisis, what is destined to become an earthquake strengthening catastrophe will have been knowingly created by the government. Critics of the Bill – including councils, businesses, engineers, and property owners – have described it as being a huge overreaction to the Christchurch earthquakes. They claim it will impose excessive costs on the owners of the properties, turning assets into liabilities and forcing the unnecessary closure of many old buildings in areas of low earthquake risk. The impact on communities and townships around the country will be devastating as main street property owners, with rental returns that are too low to justify the high costs of strengthening their buildings, abandon them or leave them vacant. In Dannevirke, it is estimated that three-quarters of the town’s buildings will fail to comply – one case involves a building that would cost $100,000 to buy but another $350,000 to strengthen. Real estate agents in New Plymouth have said the Bill will leave their city in ruins. In Waimate, it is predicted that the Bill will have “catastrophic” results as 50 Edwardian buildings in and around the main street will need to be demolished. Oamaru fears it will lose most of its historic stone buildings. Wanganui, which has 11 per cent of the country’s at-risk buildings, is already losing commercial tenants. “The policy will cost over $10 billion, will negatively affect tens of thousands of people and have a potentially devastating impact on heritage buildings. “It is critically important that the analysis backing the framework is soundly based. It is obvious that it is not. The benefits will be less than $100 million. The policy can be expected to save just seven lives over the next 75 years. If $10 billion were spent improving road safety and health, thousands of lives could be saved. “No other country applies across-the-board national earthquake strengthening standards to existing buildings, because generally it does not make sense. You can read Ian’s summary of Error Prone Bureaucracy and the full paper on our NZCPR.com website. Governments are acutely aware of their role in protecting society from risk. But since risk cannot be legislated away, good judgement is needed when deciding whether or not heavy-handed legislation, which comes at a huge cost to liberty and economic wellbeing, can be justified. The government’s earthquake bill is one of those cases where they have got their judgement wrong. They should go back to the drawing board and look for a more sensible approach. Does the government need to give greater consideration to the potential effects of their proposed earthquake legislation?